Showcase artwork and small interior objects in a beautiful and simple way. 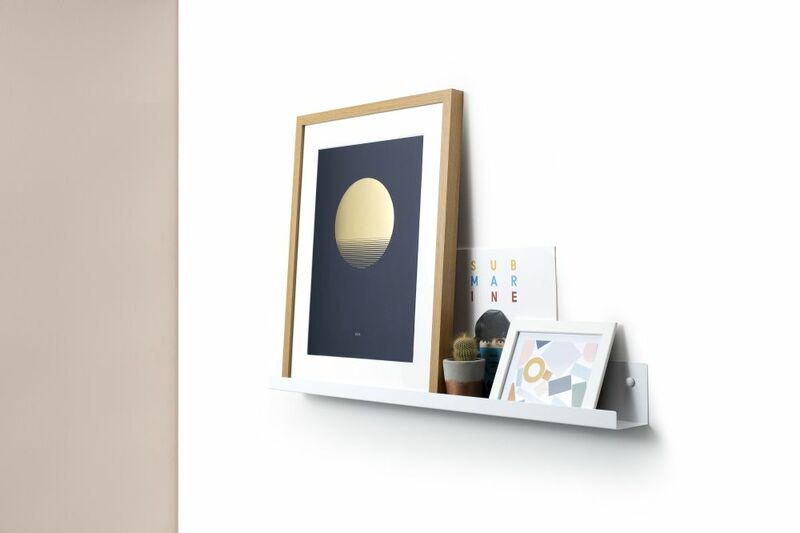 The Magpie Shelving series is designed to showcase your artwork in a beautiful and simple way. Made from steel and finished with a durable powder coated finish, each piece is folded to create a lipped shelf where framed artwork can be displayed in an elegant way. The board supports most photo frames up to 70cm in height and measures 137cm in length.